Carla Creates: Customer Appreciation Sale - ON NOW!! Customer Appreciation Sale - ON NOW!! Great news shoppers!! I have decided to host my own little sale over the next few weeks. 2012 will be my fourth year of business with CTMH and I want to show my appreciation to all of my fabulous customers who have all helped me get here by rewarding you with FREE goodies! If you are a Canadian resident - this sale is open to you!! 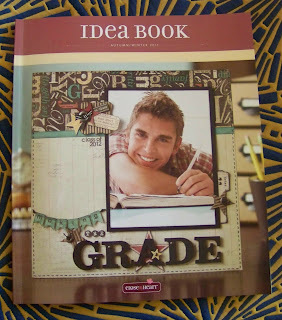 All orders of products found in the Fall/Winter 2011 Idea Book*, placed with me between NOW & January 21st at midnight will receive BONUS FREE PRODUCTS and will be entered into a prize drawing for a $25 Gift Certificate! (Orders must be placed with me directly in person or via phone or email to qualify). Email me with your order before JANUARY 21st to get your FREE Items!! *Exludes purchases of clearance items or cash & carry items that are retired (not found in the current Idea Book).